Multi-talented singer Mark McGrath came to prominence in the late 1990s as the frontman of the rock band 'Sugar Ray'. In addition to his music career, he is also an accomplished television/radio host and as well as an actor. Like his successful career, Mark's personal life also went smooth as he got held up by his longtime-girlfriend turned wife in every high and low. 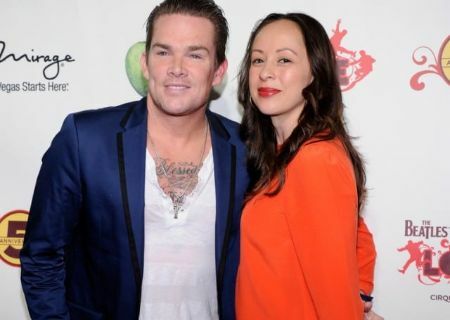 Let's take a quick glance at Mark McGrath's married relationship including the difficult health journey he's currently facing! 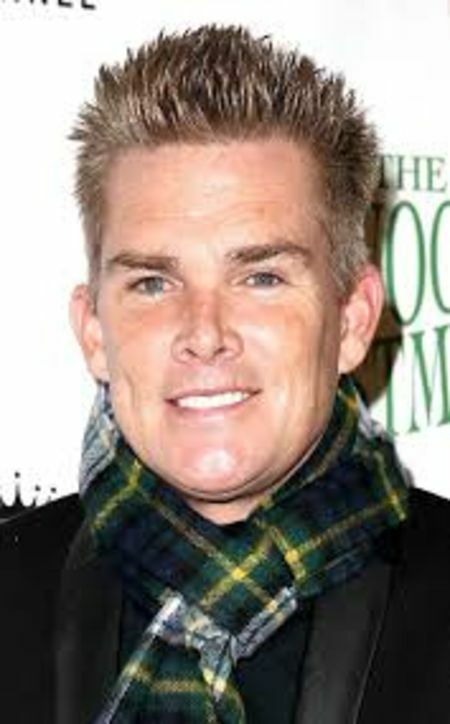 Mark McGrath is currently married to an aesthetician named Carin Kingsland. Reportedly, Mark tied the knot with the love of his life Carin in 2012. Mark McGrath and wife Carin Kingsland. Well, the couple first started dating in 1994. After an on-and-off relationship for 16 years, they announced their engagement on New Year’s Eve 2009. And less than 3 years later their betrothal, Mark and Carin walked down the aisle on September 24, 2012. The Sugar Ray singer married his longtime love Carin Kingsland at San Ysidro Ranch in Santa Barbara, California. McGrath, 44, looked stunning in his Hugo Boss suit while Kingsland, 39, looked gorgeous in her bridal attire from Renee Strauss’s bridal salon in West Hollywood that she paired with gold Prada sandals. Yes, Mark and his love Kingsland became the proud parents of two children (twins). They gave birth to a son Lydon Edward and a daughter, Hartley Grace, on April 29, 2010. As of now, the couple relishes seven years of marital status, and everything is going on a smooth pace. There are no misunderstandings and extramarital affairs that may hinder the lovey-dovey. Until then, we wish them happy long-life journey ahead, hoping for good news pretty soon. “I cannot hear anymore,” Mark McGrath revealed in a recent interview. Mark McGrath reveals that he's got hearing problems. In the interview with DailyMailTV, McGrath mentioned that years of Rock concerts have damaged his ability to hear the music he's making or anything else. For a possible solution, Mark is currently working with the specialists to slow down the hearing loss. It's been a very long time, Mark McGrath in the music business, but now his health is finally starting to affect his ability to perform. But not only that he has other problems too. Once he nodded, “As I get older, my health’s going, I have knee problems, back problems. So I am working on the hearing now." Let's wish him to recover every single health issues soon. 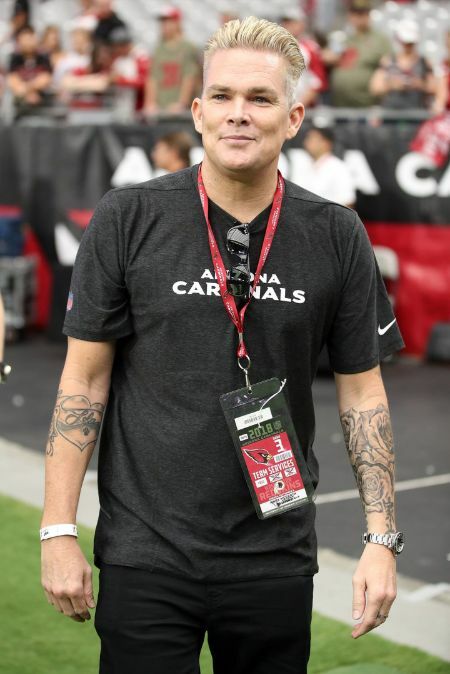 Mark McGrath was born on March 15, 1968, in Hartford, Connecticut, U.S.
His family later moved to Newport Beach in Orange County, California. Mark attended Corona Del Mar High School in Orange County. At Orange County, Mark McGrath formed the band Shrinky Dinx alongside Rodney Sheppard, Stan Frazier, Murphy Karges, and Craig Bullock. As of 2019, Mark McGrath's estimated net worth is $6 million.